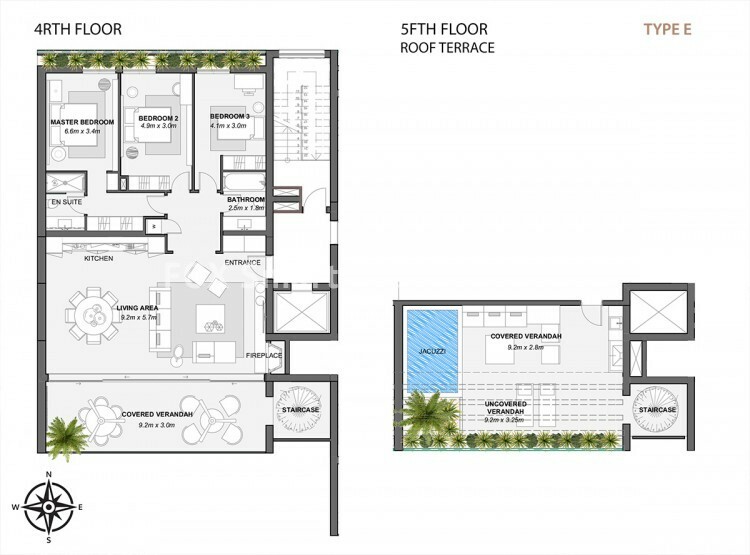 For sale under construction 3 bedroom duplex penthouse with a roof garden. The apartment has covered areas 125sqm, 45sqm covered verandas and 44sqm uncovered verandas. On the 4th floor is the living/dining area, an open plan kitchen, the master room en suite and two bedrooms sharing a family bathroom. On the 5th floor is the roof garden with the Jacuzzi. There is also one covered parking and a store room. The building offers a definitive contemporary setting for the sophisticated modern lifestyle and the need to balance work and home, pleasure and leisure, activity and tranquility.